We have a small kitchen, but it is still one of my favorite places in the house. It’s small, but it has heart. I like to cook, but to be honest, I am not very good at it. I try. There are a few things I do well, but that usually involves a slow cooker. It is difficult to fail with a slow cooker (but I have done it). I don’t know what it is—it’s like most of what I do in the kitchen I have to relearn, over and over again. For example, I am constantly asking my wife questions like, “What temperature would you cook this at?” “How many teaspoons are in a tablespoon.” “Where is the nutmeg?” It would not be difficult for my wife to put me down in the kitchen, but she doesn’t. She is kind and patient with me. Even when we have dissues (rhymes with issues). What’s a dissue? A dissue arises in a marriage when your husband unloads only part of the dishwasher, gets distracted, and then you start loading the part-empty dishwasher with dirty dishes. Even though I have mixed up my wife over the dishes no less than twice in the last two days, she is patient with me. I want to do better. My father was an excellent cook. He learned to cook for large groups during World War II when he worked in the galleys of troop and merchant ships. He left for the service the month he graduated from high school in 1944. He was 17. That’s the way they did it back then. I miss him, and his cooking. We still have a number of his Gerber knives and use them regularly. 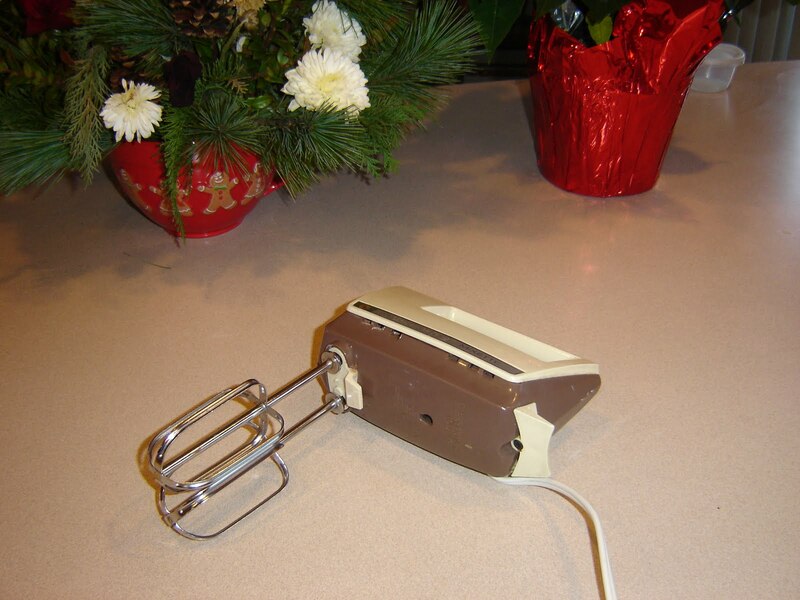 We still have our Hamilton Beach Mixette, also clad in earthtones. It is 30 years old and only showing a little wear. I noticed yesterday some copper wire showing through the cord just where it comes out. We’re not replacing it. I’ll figure out how to fix it. There is one special dish we have in our cupboard. 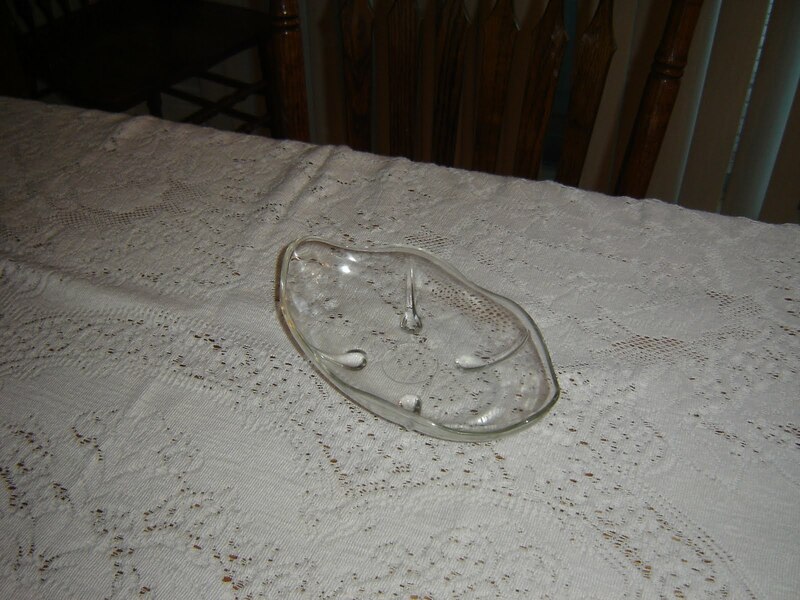 It is an old-fashioned serving dish. We found it in Rexburg, Idaho. While we were at Ricks College in the first few years of our marriage, we owned a little house. Little is an understatement. It had one bedroom and a tiny cellar. The kitchen, however, was larger than the one we have now, I think. One day, in the summer of 1980, I was digging in the yard and I found this dish. I realized the moment I found it that it could only have gotten to where it was because it got washed out of someone’s house during the Teton Dam flood in 1976. It was still in one piece. It’s one tough little piece of work. It isn’t a particularly attractive dish, but we have always kept it in a kitchen cupboard and still use it regularly. It reminds us that we can endure trials without shattering, that there is always hope, that, even if we get lost for a while, we can still keep on serving. Our kitchen is full of memories. It’s an archeology of our married lives. It’s full of heart.